Doug Naylor is a writer and director best known for his work on Red Dwarf with Rob Grant. He also wrote a lot for Spitting Image and Jasper Carrot during the ’80s. Naylor and Grant Naylor Productions primary focus in 2007 was DVD releases of Red Dwarf and the movie, but a year later saw the announcement that Red Dwarf would return to TV in the form of four half-hour specials for the digital channel Dave. The episodes were broadcast over the Easter weekend, 2009, and comprising a three-part special (20 minutes each), Back to Earth, and a behind-the-scenes “Making of” Back to Earth. Naylor wrote the scripts for the three new episodes and also directed them. Back to Earth received record ratings for freeview channel Dave. Naylor has also won various awards including 1994 “Gunmen of the Apocalypse” (Red Dwarf series 6 episode) won an International Emmy Award in the Popular Arts category, and in the same year the series was also awarded “Best BBC Comedy Series” at the British Comedy Awards. The series attracted its highest ratings, of over eight million viewers, during the eighth series in 1999. In 2011, Dave commissioned Naylor to write a new six episode series of Red Dwarf, later entitled Red Dwarf X. The series won the Royal Television Society’s award for Best Special Effects, presented in 2013. Naylor formed Three Feet Productions with his son Richard in 2014, and wrote and directed a one-off comedy for BBC 1, entititled Over To Bill, starring Hugh Dennis, Neil Morrissey and Helen George and produced by Richard Naylor. 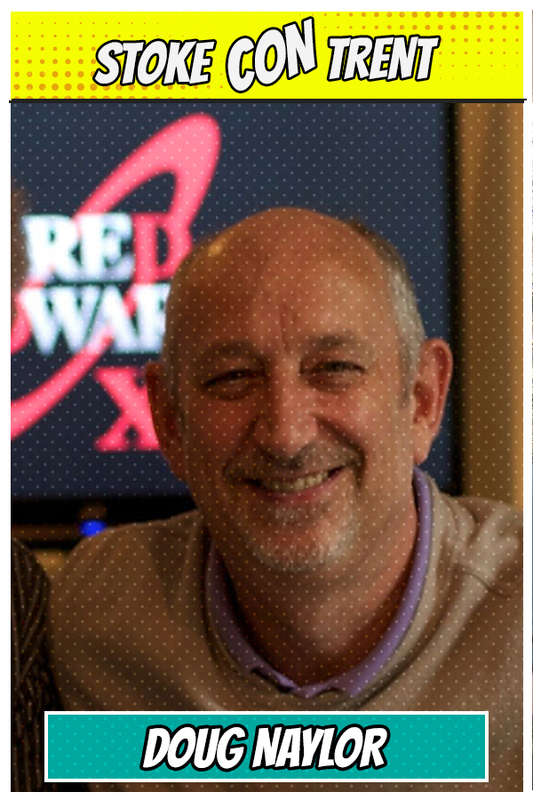 In 2015/16 Naylor wrote and directed 12 more episodes of Red Dwarf for UKTV (Dave). The first six (Series XI) were broadcast from September 2016 and Series XII will be broadcast from September 2017. Both series were a Baby Cow production with Richard Naylor and Kerry Waddell as Producers. Naylor has now written or co-written all 73 episodes of Red Dwarf.